Members of STS Component Solutions, Pat Tyler (Vice President, Global Sales & Business Development), Tim Russo (Director, Customer Solutions & OEM Distribution), Kerry Obiala (Director, OEM Product Lines, Product Development), Gabrielle Daniele (OEM Product Line Representative, Product Development), Shawn Kalinowski (Program Manager), Josh Walker (Sr. Manager, Contracts & Programs), Taylor Salisbury (Marketing Coordinator) and Erik Hlavaty (Regional Sales Director, North America) will all be available to meet with during the conference and networking events, to discuss any of your company’s aircraft inventory management and programs support requirements. 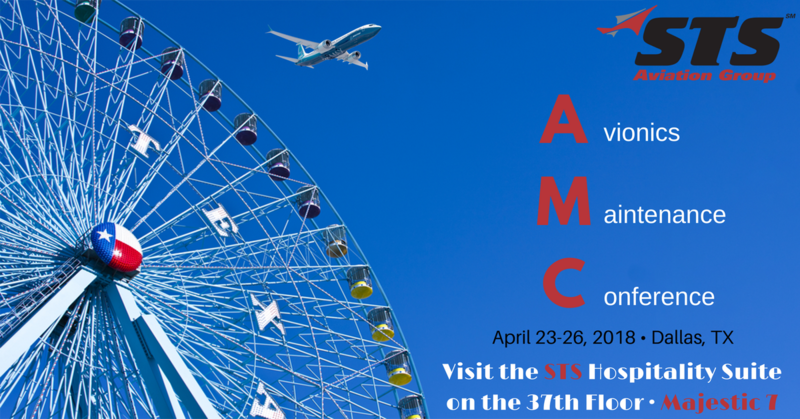 Within the STS Hospitality Suite (co-hosted with OEM partners Acme Aerospace, Aerosonic Corp., Avionic Instruments and MarathonNorco Aerospace) you can expect outstanding entertainment options, great food and even better company among our team and your peers! On Monday night, The Killer Dueling Pianos are set to rock the house! On Tuesday evening, STS will be set inside the AAI Exhibits & Manufacturer’s Reception from 6:00pm – 8:00pm, showcasing our unique OEM Distribution portfolio and “Smart Stock” Inventory Program offerings. Following the exhibition, the party continues back inside the STS suite with music from Dallas’ best country cover band, The Big City Outlaws! And to wrap up the conference on Wednesday night, STS is excited to welcome members of the 2018 Dallas Cowboys Cheerleading Team to our suite for photos and autographs. Be sure to fly by and meet the STS team at our hospitality suite inside the Sheraton Hotel, on the 37th floor in the Majestic 7 Ballroom. We really look forward to seeing you all in Dallas!